In today’s post, you find 10 of the best-selling one page WordPress themes. The themes on this list employ the latest web techniques such as responsiveness, parallax, and flat design among others. A one page WordPress theme helps you to create a fully-featured website all on a single page. This is unlike traditional websites where you have more than one page e.g., Home, About Us, Contact Us etc. By keeping your readers on a single page, you increase your conversion rates multiple times since the user needn’t follow links to find content or make a purchase. And contrary to popular belief, one page WordPress themes are suitable for all businesses – big or small. Whether you’re a beginner or a seasoned pro, Ronneby offers you the tools you need to build any one page website under the sun. Thanks to an endless list of features and options, you can create thousands of different websites on Ronneby and nobody will be none the wiser. For starters, Ronneby ships with more than 40 ready-to-use and fully customizable demos. If that isn’t beginner-friendly enough, the theme comes with extensive documentation, knowledge base, Facebook support community, video tutorials and stellar customer support. Secondly, Ronneby comes with dedicated WooCommerce options, which means you can customize your product and shop sections extensively. Not to mention the theme is compatible with various WooCommerce extensions for even more awesomeness. Other features include extended blog capabilities, portfolio pages, an intuitive admin panel, translation ready, 40+ custom shortcodes, WPBakery page builder, and Slider Revolution among others. Number two on our list is Jarvis, the second best-selling one-page WordPress theme on Themeforest at this writing. RockNRollaDesigns, the elite author behind the theme, claims Jarvis is the “…best parallax one-page WordPress theme,” but we won’t take their word for it. Instead, let us check if Jarvis is worth its salt. What can you expect to find after installing and activating this theme? Well, for starters, you get over 12 home variations. On top of that, you have a whole library of shortcodes at your disposal. To make customizing the theme even easier, you get unlimited theme customization options. Besides that, you can add varying video backgrounds, multiple navigation styles, and beautiful parallax effects easily. Additionally, Jarvis comes with built-in support for MailChimp and Font Awesome, which means building an email list or adding icons to your site is merely a click away. To boot, Jarvis is translation and WPMU ready. SCRN is a fully responsive one-page WordPress theme perfect for tiny personal blogs and big businesses. On top of the minimalist one-page design, SCRN ships with powerful blog capabilities, meaning you don’t need a separate setup to run a blog. But that isn’t all, SCRN puts a lot of website customization power in your hands. I mean, this one-page theme comes with the popular WPBakery page builder, which has a million and one content blocks to create any one-page website you desire. Additionally, SCRN features a powerful options panel that allows you to bend your theme whichever way you want. If that isn’t enough, you can customize SCRN extensively since it’s fully compatible with the WordPress live theme customizer. SCRN is future-proof seeing as it runs on the latest web technologies such as HTML5, CSS3, and jQuery. That, plus the author does a great job of updating the theme and providing awesome support. To top it all, this theme comes with beautiful filterable portfolios, sticky navigation menus, amazing sliders, sample data, nice parallax effects and built-in social icons among other features. The brainchild of the cool guys over at DeliciousThemes, Patti is a powerful one-page WordPress theme that can handle anything you throw at it. Whether you’re building a one-page website for your creative friend, an agency or a big corporation, Patti doesn’t disappoint. But is this all marketing hyperbole, or does Patti live up to its reputation? For starters, you don’t need any coding skills to use and customize Pattie, thanks to the bundled WPBakery page builder. In my opinion, it’s good to learn a couple of coding languages, but that’s a story for another day. In addition, Patti ships with other premium plugins namely Slider Revolution, Templatera and Ultimate Addons, which offer you a great deal of functionality for free. Note, you’d have to pay for these plugins (including WPBakery page builder) to enjoy the same features. Patti ships with many other features including fullscreen menus, beautiful WooCommerce UIs, great on-page SEO, multiple logo options, a powerful blog, impressive grid portfolios, Google fonts, video tutorials and parallax effects among others. Old is gold they say, and Retro Portfolio offers you the kind of vintage style that will have your head reeling in nostalgia. If you like old-school style coupled with modern design techniques, you’ll fall head over hills with Retro Portfolio. However, is the vintage style all this one page WordPress theme has to offer? Fortunately, no. Retro Portfolio boasts of an impressive list of features. For instance, you have an unlimited selection of custom colors for each section. On top of that, you can customize the home page extensively without breaking a sweat. And since the theme is fully responsive, everything you create will look great across multiple devices. Retro Portfolio is lightweight in design since it uses more CSS than images. Finally, this one page WordPress theme comes with other features such as a spam filter on the contact form, icons, portfolio gallery, Google fonts and a blog among others. The North one page WordPress theme is the real deal, what with features from here to Timbuktu and an array of options that make building a one-page website pure bliss. I had the opportunity to check out the demos, and I was immediately impressed. However, the demos were created by highly qualified developers, so where does that leave you as a beginner? Can you replicate the demos, or create a unique website using North? Most definitely buddy; customizing North is as easy as A, B, C.
North boasts of 14 awesome demos that you can install in a click, and then customize your favorite version until you drop. Additionally, this theme ships with the WPBakery page builder that helps you to create any page without writing a line of code. In addition, North comes with other features that make building the perfect one-page website not only a reality but also something you will enjoy. I’m talking about things such as $129 bucks worth of premium plugins, a powerful theme options panel, a built-in style customizer, and shortcodes. On top of that, you can expect other feature such as full localization, free lifetime updates, WooCommerce compatibility, Bootstrap, Font Awesome icons, animations, parallax, blog functionality, Isotope portfolio and so much more. Break the mold with the extraordinary Morpheus, a one page WordPress theme like no other. While other one-pagers will boast of parallax effects, Morpheus takes the parallax effect to a whole new level. No matter what you build, Morpheus makes it look 100% better, thanks to ingenious design concepts that will leave your competition in the dust. Design aside, what does Morpheus bring to the table regarding the features? For the very first time, Morpheus brings the parallax experience to mobile devices, which has been a huge challenge for many developers. The best part is you can use any type of content to create your parallax backgrounds be it videos, sliders, patterns or images. Secondly, Morpheus comes with Text Types, which are beautiful Google font combinations you can use in a moment to improve your typography. Additionally, you get one-click install demo sites that you can customize to your tastes. As you would expect, Morpheus is 100% responsive and retina ready. And to get your content closer to your readers, this one page WordPress theme offers you multiple display options for your blog posts and portfolio. Other features include a shortcode manager, powerful admin options, pricing tables, contact forms, social media icons and the list goes on. Are you looking to create a one-page portfolio, landing page or business website? If that’s a resounding yes, we introduce SimpleKey, a state-of-the-art one page WordPress theme suitable for designers of all skill levels. Long gone are the days when visual page builders and sliders were the preserve of the big (read multi-purpose) themes. SimpleKey offers you Slider Revolution and WPBakery page builder straight out of the box. If you’re still wondering where I am going with this, having WPBkaery page builder means endless design possibilities since you can create anything you wish without coding knowledge. That’s not all, SimpleKey features 30+ shortcodes allowing you to add any number of elements with a click. Other than that, SimpleKey is easy to configure and comes with great documentation and support. 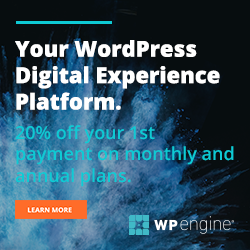 How much would you pay for the peace of mind that comes with investing in a one page WordPress theme that works as advertised? You can’t put a price on peace of mind, but $49 is all you have to part with for such a theme. Ladies and gentlemen say a big hello to Newave, a popular one page WordPress theme that’s perfect for photographers, creative agencies, freelancers and even big enterprises. Are you in doubt? The Newave theme packs an impressive suite of features such as six home sections, parallax sliders, four navigation styles, customizable backgrounds including video support, Font Awesome icons, and full-screen sliders. The list of features doesn’t end there. You also get the WPBakery page builder, masonry portfolio, sticky filters, and six amazing demos just to touch the tip of the iceberg. WordPress is a popular application framework for all and sundry. If you’re in the music niche, here comes Speaker, a one-page wonder specifically made for music websites. All the same, you can use this theme for any website seeing as it’s highly customizable. Straight out of the box, Speaker is easy to setup and use. All you have to do is install the demo content and customize away. Besides that, this theme is retina ready and responsive to a fault. Additionally, Speaker is WooCommerce ready meaning you can sell easily. Speaker is the theme of choice for musicians such as Lola Blanc and Spix Macaw among others. Today’s post is a tiny sampling of the one page WordPress themes available on the internet. I am just pointing you in the right direction to save you time and money. All the same, it doesn’t matter the theme you choose; you must strive to provide a great user experience and value on your website to realize your goals. That being said, have you used a one page WordPress theme before? If so, we would love to hear your opinion. Other than that, did we leave out your favorite one page WordPress theme? Let us know in the comments below.